No matter where you work–whether it’s a construction site, a kitchen, or an office–safety should be a leading priority for HR and upper management. Safety is as necessary to maintain in a well-functioning office as it is on a work site, and lapses can be just as costly. In the United States, a study by the National Safety Council shows that a worker is injured on the job every seven seconds, totaling nearly five million preventable injuries per year. Despite how common these injuries are, they still represent a staggering fifty percent improvement over workplace injuries in the U.S. since 2003. 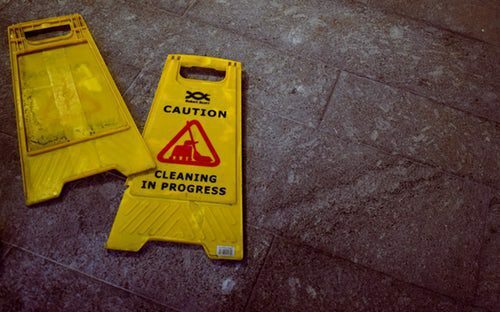 In the United Kingdom, the top ten reported workplace accidents don’t just include incidents you might associate with manual labor, but included slips and falls, repetitive strain injuries, and even injuries from walking into stationary objects–all accidents that could easily take place in your workspace. Depending on the size and organizational structure of your company, it’s likely that your Human Resources department is responsible for developing strategies to prevent workplace injuries. HR managers need to do the research, planning, and implementation of health and safety activities to ensure a hazard-free working environment for their employees. One reality of health and safety training is that no one thinks they need health and safety training. People generally believe that their common sense will guard them against harm–but the staggering statistics we mentioned earlier suggest otherwise. 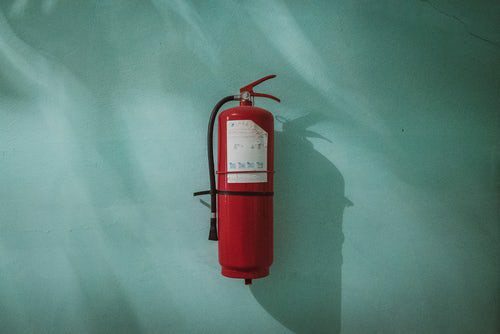 In order to promote safety in the workplace, it’s necessary to acknowledge that people may not be receptive to safety initiatives that take up much of their time. An effective way to spread the message that safety is a core value of your company is by drawing up a workplace safety policy statement and booklet. The core tenets of your policy statement should be incorporated into all aspects of your workplace routines and culture. Keep in mind that widespread communication of the policy is integral to the success of your safety plan. Many injuries stem from seemingly innocuous dangers like the use of a ladder “just this once” by an unauthorized employee, poor housekeeping, and even faulty extension cords. By broadcasting the safety policy and training employees on how to abide by your office’s new safety rules and guidelines, HR managers can rest assured that employees will think twice before risking the safety of themselves and others. Promoting safety lets employees know that management has their health and wellbeing at heart, keeps companies operating in accordance with strict governmental guidelines, and benefits your company by keeping expenses like sick days and injury liability payments to a minimum. It’s important to note that safety doesn’t begin and end with physical health, but includes workers’ mental health as well. Mental health and wellbeing are important topics for the newest crop of millennial employees when considering a workplace, and including these topics in your company’s safety and wellness policy can be an effective way to maintain the engagement of millennial hires, rather than paying lip service to their values. Guidelines that promote mental health could include warning signs of mental stress and strain overload, as well as an outlet for open communication regarding these threats to workplace safety. Before you begin writing your new safety policy, do the necessary research to ensure that it fits up-to-date government guidelines and regulations for your field. While we’ll assume it’s not in your budget to hire an occupational health and safety expert to develop a new or updated policy for your organization, it doesn’t hurt to call and inquire about the cost of having a professional visit your office for guidance and training. Section 1 of your new policy should include an overall statement of intent, broadly outlining your company’s philosophy regarding workplace health and safety, and including generalized expectations of management and regular employees. Section 2 should outline chains of command with regards to health and safety management, noting: who is responsible for all outlined subtopics; how the implementation of safety protocols will be managed; backups for all named safety officers; and who will be responsible for ensuring implementation and training regimens are followed. Section 3 should be the bulk of the policy statement and include detailed rundowns of topics including, but not limited to, training; environmental protocols; lists of toxic materials that are to be disallowed on premises unless handled by licensed professionals; full duties of safety officers; emergency procedures; and arrangements for conducting fire drills. Section 4 should consist of space in which to keep maintenance records, as well as records regarding any accidents or emergencies that occur on company property. But workplace safety doesn’t begin and end with a well thought-out policy statement. Executing an effective safety policy is the responsibility of everyone in your workplace. Long-standing employees can model safe behavior and show less experienced employees that there’s no shame in refusing to cut corners when it comes to safety. New employees may be dismissive of safety procedures because they have not yet seen the consequences of hazardous behavior. They might worry that they could be penalized for rejecting work that compromises their safety. Look to your most influential employees to normalize safety concerns and contribute to a positive and healthy culture. Once you’ve identified the ambassadors within your organization, here are some tips that you can pass long to promote a culture of safety. Read your company’s health and safety policy. It sounds obvious, but if you were to ask the person sitting next to you where the closest fire exit is, there’s a good chance they couldn’t give you the answer. The policy was created to bring clarity and give details for potentially unsafe scenarios. Tell your coworkers what you’ve learned. Employees are more likely to remember critical safety information if they heard it from a peer, rather than a training session on their first day. You never know–asking a coworker, “Hey, did you know there’s an AED by the front door?” could end up saving someone’s life. Always wear safety equipment. While everyone knows that they should wear safety equipment, it’s easy to put off safety concerns for the sake of convenience or speed. Don’t take any chances and remember that you need to put yourself first when it comes to your safety. If you see something, say something. If you notice a potential hazard, like exposed wiring or water damage, immediately alert your supervisor or safety officer. The sooner that safety concerns are escalated, the easier it is to prevent accidental injuries. Know your rights and responsibilities. The law defines scenarios in which you have the legal right to refuse work or reject unsafe working conditions. Understanding your legal rights will give you the confidence to disobey directives that jeopardize your personal safety. Take advantage of your company’s health and safety initiatives. Stay updated on health screenings, flu shots, or other events your company organizes to promote good health. Hire staff that you can trust to behave professionally and responsibly. Reckless employees can compromise not only their own safety, but the safety of others. It’s also crucial that you hire people who will speak up if they see something that isn’t quite right. Consult your safety officers to periodically assess health and safety programs in the office. Collaborate with your team to find ways to update or refresh your safety initiatives. Plan regular training sessions to familiarize your staff with rules, regulations, and emergency procedures. Be mindful of when you schedule training–if it’s during the busiest time of the year, it’s likely your audience will be distracted and itching to get back to finish their work. Work with local healthcare professionals to offer in-office medical screenings. These are often supplied by insurance companies and the expense is often tax-deductible. 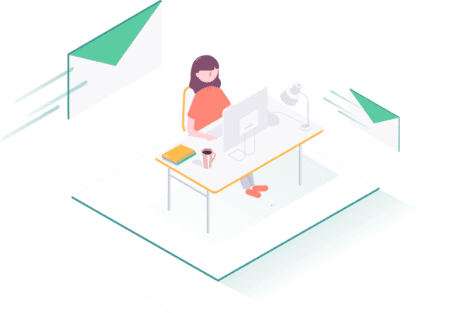 It is a convenient way for employees to prioritize their health without having to leave the office. Stay current on the latest protective equipment and update your inventory as needed. Replace broken or aging safety gear and provide your employees with usage instructions for new equipment. Post signs notifying employees of nearby dangers. Those might include wet floors, handwashing notices, or even reminders to watch out for that doorway that taller employees always seem to bump their heads on. Don’t reward risky behavior. While a “whatever it takes” attitude might be encouraged in some areas of work, it shouldn’t be rewarded if it comes at the expense of safety. Instead, reward employees who display safe behavior, like bringing a coworker’s high-stress levels to the attention of management or reporting when they spot safety hazards. Lastly, don’t forget to require health and safety training amongst your office’s cleaning staff, too. These employees are frequently the first line of defense against workplace illnesses and accidents, so be sure they’re trained and capable of doing their part.